hahaha thank u jen-chan, i know what u were thinking XD when i told my friends im going to take master degree and planning to be a teacher, they were like "OMG, R U SERIOUS??? what the heck ur students going to be? a psycho killer?" "psycho killer" lol... thats hilarious. GUD luck getting ur master degree. i kmow u will do wonderful job. hahaha i know, my friends think im too psycho to be true XD well i just met my ex-lecturer who is now the rector of my university XD we talked a while and he gave me a good recomendation. im so happy XD i hope its gonna help me to pass. thank u for the support, girls!!! LOL, be sure to dont kill another student, ok...? thats gud for u. happy to hear that. now its up 2 u. GUD LUCK!!! aww... aoi-chan,,you will become a "anak putih abu abu" XD .. enjoy the high school you do this .. nice fun ..
high school is fun XD ull be having ur best school time there dun worry, aoi-chan! ganbatte zutto! good luck with school everyone. houu... Aoi-chan sugoii!! u can go to school the best school ><b .. enjoy your school time ya ..
ah, so Indonesia...!!! i misss Indonesia so much!!! i even forget how is the weather there! when a japanese ask me "is it now hotter than indonesia?" i alwaus answer yes... but actually i'm not sure! oh God, i wanna go home!! anyway, i went to an island in Yamaguchi prefecture, called Shimonoseki, and i went to a traditional japanese house. 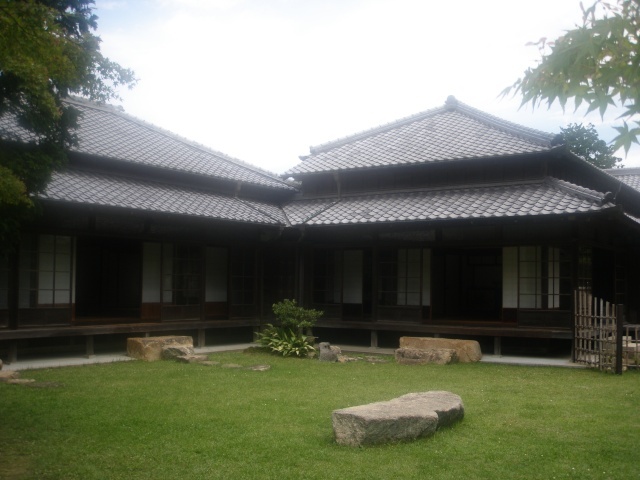 it was a house of a kind of important person in Shimonoseki a long time ago. a very nice home!! so japanese! i want a house like that!! 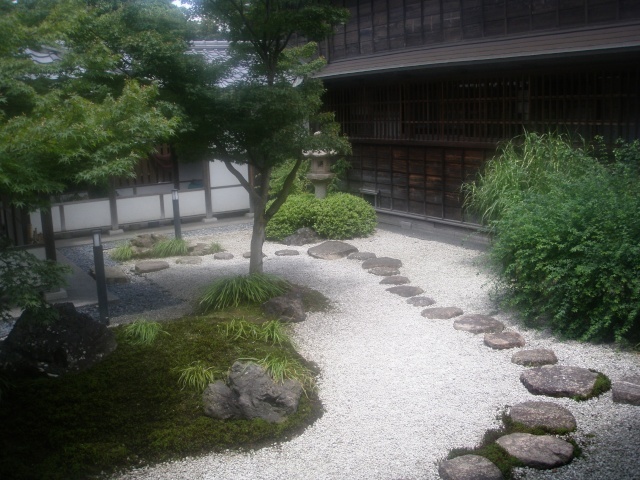 the garden was awesome, but i prefer house with tiles to tatami.. really... well, ONE tatami room is okay, but ALL? 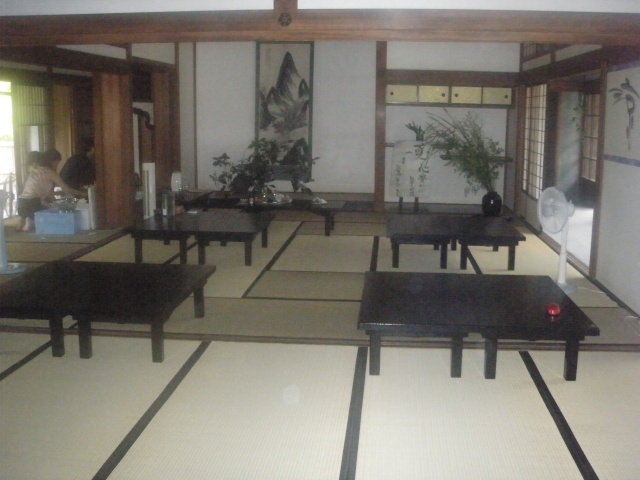 nooo.... it's hard to clean up tatami.. ^^"
but, well, yeah, the air in the garden was soo cool eventho it's summer!!! imagine you sit there, with the beautiful garden in front of your eyes, and you eat watermelon and cool water, and there is a breeze....... OMG!! i wanna go there again!!! Hmm... I forgot if I posted here or not. Anyways, I haven't really done much except go down south to South Carolina and visit my sister in Maine. Other than that, I've just been home and being a bum. Hopefully I'll have something to do next summer, like interning in Thailand !